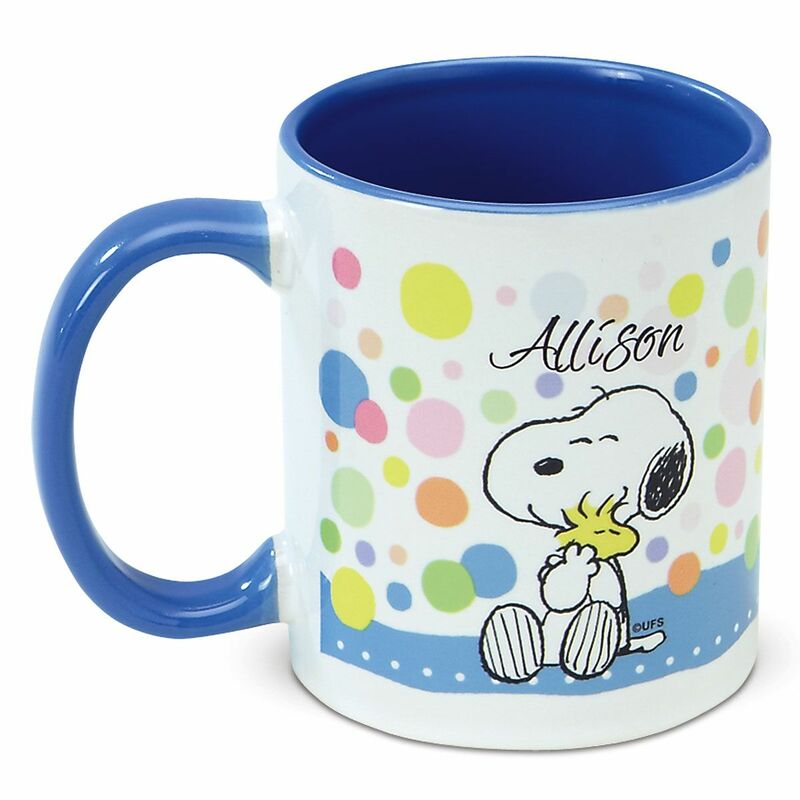 Give our personalized mug to your PEANUTS® fan! Heartwarming ceramic mug holds 11 ounces. Hand wash and microwave safe. Specify up to 12 characters and spaces.